In case you missed our coverage yesterday, fear not - here's a full round-up of The Prince of Wales visit to Northamptonshire including pictures from cobblers factories in Northampton and Kettering. 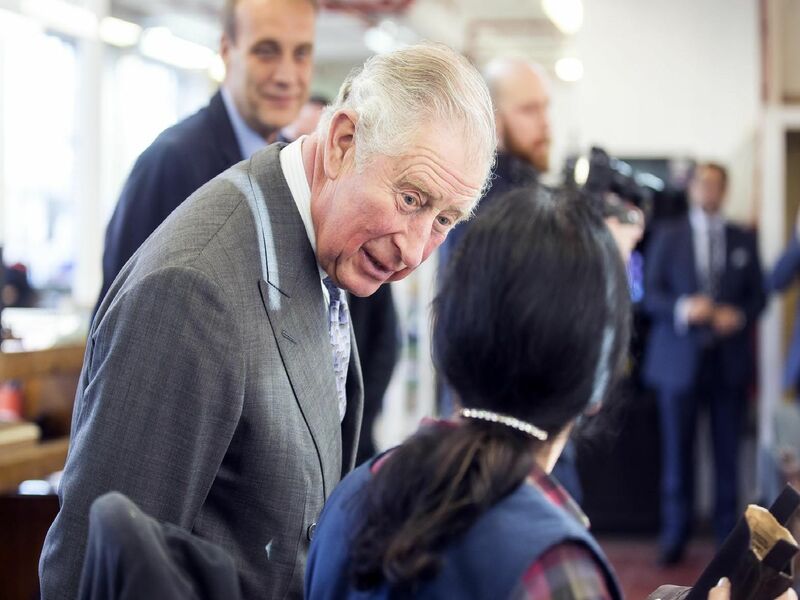 At about 2pm yesterday (Monday) The Prince of Wales made his way into Northamptonshire's oldest cobblers factory, Tricker's, where he has held a Royal Warrant since 1989. He made his way up the stairs and spoke with Queen Elizabeth Scholarship Trust (QEST) apprentice Adele Williamson, among other factory floor shoemakers, and stopped to see his own shoe last, stood next to Harry Potter's, Daniels Craig's and American basketball giant Shaquille O'Neal's. Upon leaving, he unveiled a commemorative plaque to mark the company's 190th anniversary. He then swiftly moved onto visit Gaziano & Girling, the shoemaker with a shop in London's Savile Row and a showroom in New York, who opened their Kettering factory in Balfour Street 10 years ago. The prince toured the factory floor, observing how the handcrafted footwear is put together and seeing first-hand the manufacturing skills needed to create both bespoke and ready-to-wear shoes.The heir to the throne was just leaving the factory when he noticed a crowd of people waiting across the road to catch a glimpse of him. Read more here. Tricker's celebrates its 190th anniversary in the company of Prince Charles. Pictures: Kirsty Edmonds.